Sessions carrying on those great traditions here in the Scenic City. will join together to deliver a variety of entertainment, some old, some new, but all paying homage to “The South”. 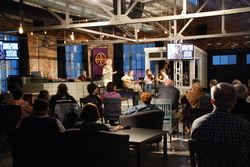 The show is broadcast two weeks later on WUTC 88.1 locally and across the internet on WUTC.org.